This book gives a detailed account of the Standard Model of particle physics, focussing on the techniques by which the model can produce information about real observed phenomena. 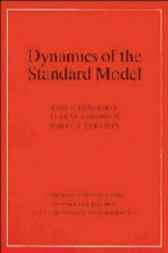 It opens with a pedagogic account of the theory of the Standard Model. Introductions to the essential calculational techniques are included. The major part of the text is concerned with the use of the Standard Model in the calculation of physical properties of particles. Rigorous and reliable methods (radiative corrections and nonperturbative techniques based on symmetries and anomalies) are emphasized, but other useful models (such as the quark and Skyrme models) are also described. The strong and electroweak interactions are not treated as independent threads but rather are woven together into a unified phenomenological fabric. Many exercises and diagrams are included.